AWESOME, one-of-kind home on corner lot with large, level fenced rear yard providing a secure play space - or if you prefer, start your fruit and vegetable garden in this sunny area. Walking distance to Rockville Metro with the Rockville Town Center just beyond. One block off Route 28, a few blocks from Veirs Mill Road and Rockville Pike, and minutes away from I-270. Two levels with replacement windows and original hardwood floors. A newer two-level addition created a family room and a large bedroom above which adjoins the original third bedroom which can be either a nursery or sitting room. Hardwood floors are found up and down, along with fresh paint. Lots of room to expand into the full (dry) unfinished basement or above grade beyond the existing footprint into the amazingly deep rear yard. Enjoy evenings 3 seasons on your glassed and screened porch. The opportunity for Country living in the City limits doesnt come around this often, especially at this price - dont miss it! 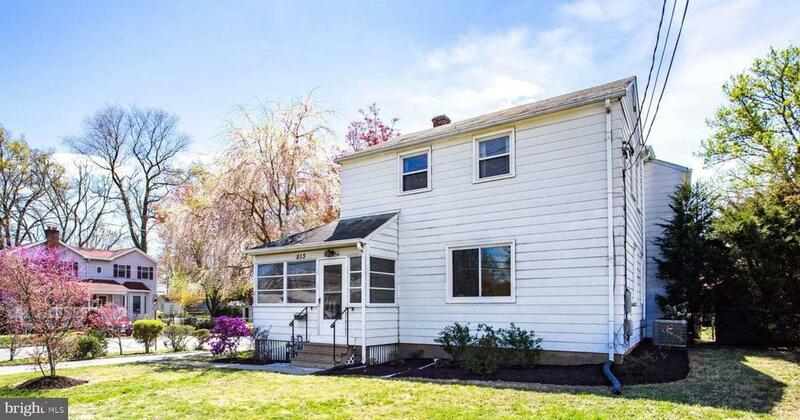 This home is eligible for FHA/VA financing. Directions: Follow Rt. 28 south out of Rockville as i becomes Viers Mill Road. Stay on Route 28 when it turns left onto 1st Street after crossing over the bridge after passing St. Mary's Church. Take right at 1st Traffic signal onto Baltimore Road. House is on the right at the next corner.